The Advanced Technology Environmental and Energy Center (ATEEC) first opened their doors in 1994 as a National Science Foundation’s Center of Excellence. For the last twenty years, ATEEC has been providing high-quality publications focusing on different conservation employment categories, compiling and vetting curriculum for all schooling levels, and facilitating expert panels. 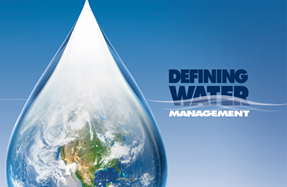 The newest publications released by ATEEC are Defining Water Management and Regional Water Conversations. ATEEC facilitated a series of six regional water forums. The conversations allowed ATEEC to obtain a snapshot view, from water experts across the country, of new and existing water management jobs and determine regional employment opportunities. This information is compiled into a series of reports and charts. To see the water management reports and others, please visit ateec.org. ATEEC is also home to the Interactive Learning Lab. The Lab is a great location for middle school and high school students to visit and learn more about green topics. 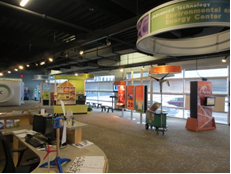 A hands-on permanent display allows visitors to explore the topics of energy and green homes, along with wind, solar, geothermal, and biofuel energy sources. Visitors include field trip groups from all school districts in the Quad City area, after-school programs, and other specialty groups. The Interactive Learning Lab also is a source of curriculum and activities for local educators. Through our Carver Lending Library, we are able to provide unique learning experiences for students in their own classrooms. Workshops are held throughout the year to introduce teachers to different green topics and familiarize them with the items available through the Carver Lending Library. 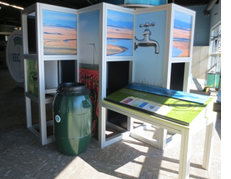 The permanent display at the Lab focuses on water conservation. For many students, this is the first time they have seen a rain barrel and offers a great opportunity to discuss landscape water use. The water conservation activity encourages students to predict what simple household changes translate into the largest amount of water saved. The students leave the station with simple ideas they can do to influence their family’s water use. A few weeks ago, the ATEEC Interactive Learning Lab was able to assist 25 regional boy scouts working on their Sustainability Merit Badge. During this half-day intensive workshop, the boy scouts looked at water conservation. They performed an experiment to determine how much water is wasted by a leaky faucet in one year. The amount of water was staggering. The scouts discussed ways they can conserve water in their homes. Shorter showers, turning off faucets when not in use, and fixing any leaks were just a few of their solutions.